Want to know what's hot for Christmas in the world of six and three year old girls then look no further! My girls have been scanning the toy catalogues and writing, revising, and rewriting their Christmas wish lists for weeks now but there are some items that are staying firmly at the top of their lists. Read on for some amazing, easy to find gift ideas - straight from the source of what's cool - my girls! And if you make it all the way to the bottom of this blog post there are details on how you could win some of these awesome goodies in time to pop under your tree! Snuggles My Dream Puppy by Little Live Pets is the no mess pup who loves to be loved. 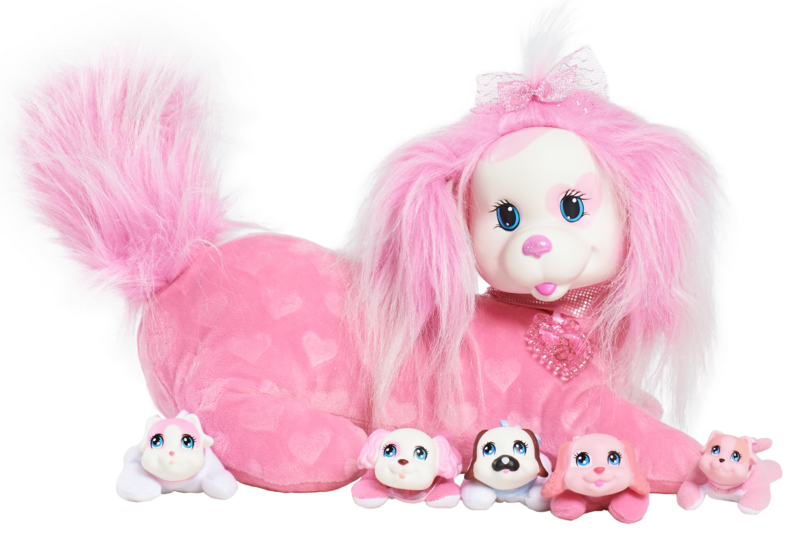 Realistic and fully interactive, Snuggles moves, feels and responds just like a real puppy. He even comes with an adoption certificate for you to fill in and make all him your very own. This little guy is about as close as we will be coming to getting a real puppy in our house! Luckily for me, he is super cute and moves so realistically so I'm sure it will put an end to the real puppy conversations for quite some time! Available from The Warehouse, Farmers and all leading toy retailers. Oh for the love of Shopkins! These pint size collectables continue to grow in popularity! 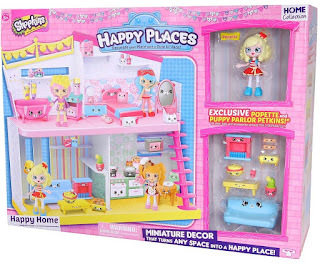 The newest addition to the Shopkins line is Happy Places where Lil' Shoppies live with their Petkin Furniture. 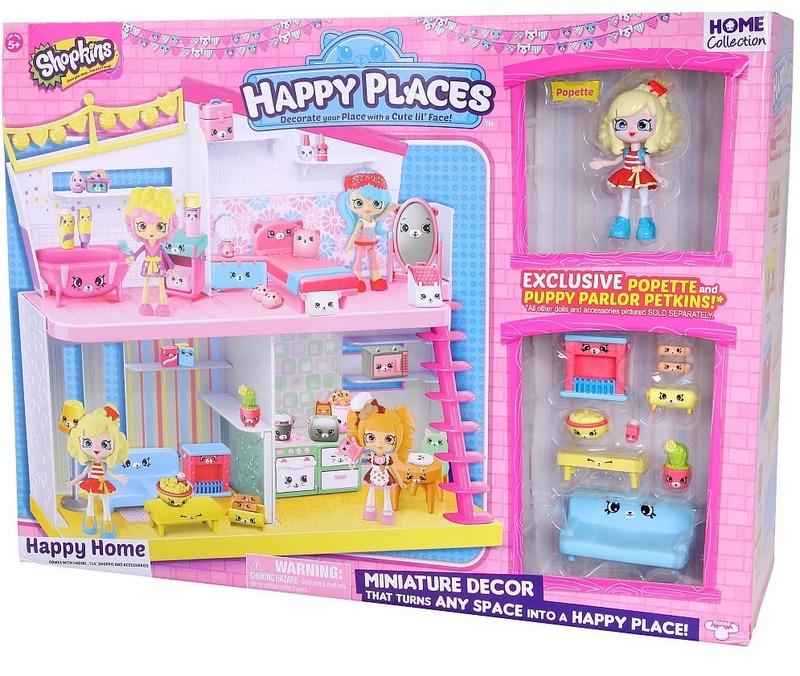 The range includes the Happy Home Doll House which comes with one Lil' Shoppie (Popette) and her Petkin Furniture. Additional Lil' Shoppies and accessories are available separately to add to the Happy Home over time. Available from The Warehouse, Farmers and all leading toy retailers. Just in time for Christmas, four new characters join the already hugely popular regular sized Shoppies dolls. Rainbow Kate, Pam Cake, Kirstea and Pirouette hit the shelves in December. According to word about school, these are the must have doll of the moment. Each doll comes with two exclusive Shopkins, hairbrush, hand bag plus a special membership card to access the Shopkins app. Available from The Warehouse, Farmers and all leading toy retailers. The range that started the whole craze! Shopkins season five is already in store and season six is set to released just in time for Christmas which is exciting news for the collectors and obsessed primary school aged girls! The range is hugely extensive with something to fit all budgets - a two-pack set starts at just $5.99. Popular items in the range include the assorted 5 and 12 packs as well as the larger Grocery Store accessories including the Shopkins Bakery and Shopkins Fruit & Veg Stand to maximize the Shopkins playing. 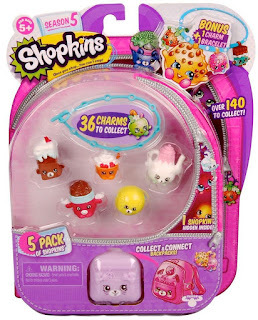 If your house has more Shopkins that in knows what to do with then perhaps the Shopkins Collectors Case would be a great idea to help keep them all contained and accounted for. Available from The Warehouse, Farmers and all leading toy retailers. Puppy Surprise is an absolute blast from the past! These were huge in the 1990's when I was at primary school. I absolutely coveted them but alas was not destined to have one. Fast forward 20 years and they are back and popular as ever and now my own girls are pining for one. Puppy Surprise has stayed at the top of many little girls wish lists especially since the arrival of the new Kitty Surprise to the range. Available from The Warehouse, Farmers and all leading toy retailers. My art and craft loving 6 year old will fall instantly in love with this! 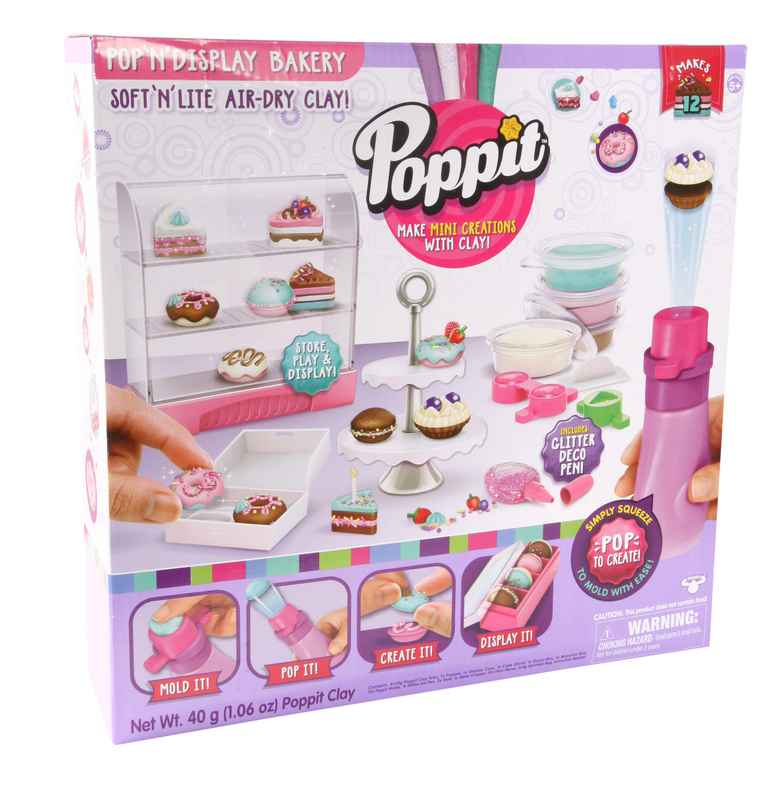 Make mini clay creations with Poppit's unique soft 'n' lite air dry clay. Simply press the clay in to the mold, pop it out and decorate. Create mini cupcakes, ice creams, bunny rabbits, hand bags and even your own Shopkins! Even I'm looking forward to trying this one out too! Available from The Warehouse, Farmers and all leading toy retailers. Another craze which is showing no signs of slowing - Beanie Boos! I thought it was only the girls at our local primary school who are mad for these wide eyed plush toys but it turns out kids worldwide are crazy for Beanie Boos. Available in four sizes from teeny tiny baby Beanie Boos (RRP$6.99) right up to the large and highly coveted large Beanie Boos (RRP$49.99). The small seem to be the most popular (RRP$11.99) which makes for a very reasonably priced, safe choice gift guaranteed to put a smile on their faces. Available from The Warehouse, Farmers and all leading toy retailers. Fancy a chance to win some of the awesome goodies above for your kidlets this Christmas? Then read on! Thanks to the amazing people at Planet Fun, I have four, yes FOUR, generous Christmas prizes to giveaway. 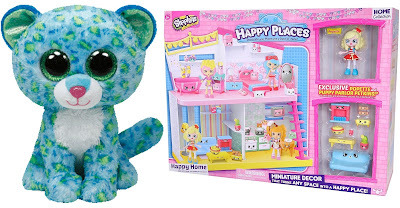 Each prize includes a large (38cm tall) Leona Leopard Ty Beanie Boo and a Shopkins Happy Places Happy House valued at $120.00. How amazing is that!!! 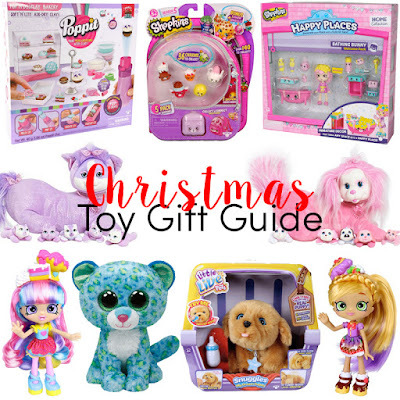 Head to the Little Housewife Facebook page and find the original "Christmas Toy Gift Guide" post. 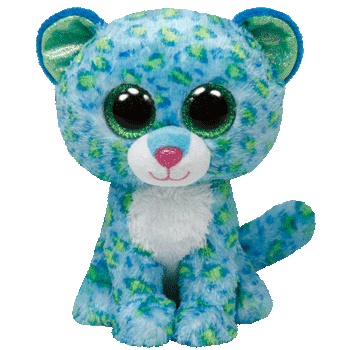 LIKE the post AND COMMENT which you think is cuter - Shopkins or Beanie Boo. SHARE the love - Tagging a friend or sharing is not a condition of entry but I would love it if you did. For an extra entry, comment below on this blog post which you think is cuter - Shopkins or Beanie Boo. Beanie Boo! The whole range is cute. Beanie Boos are definitely cuter but my kids are also obsessed with shopkins! I like the beanie boo! My daughter (5) likes most of these things too. 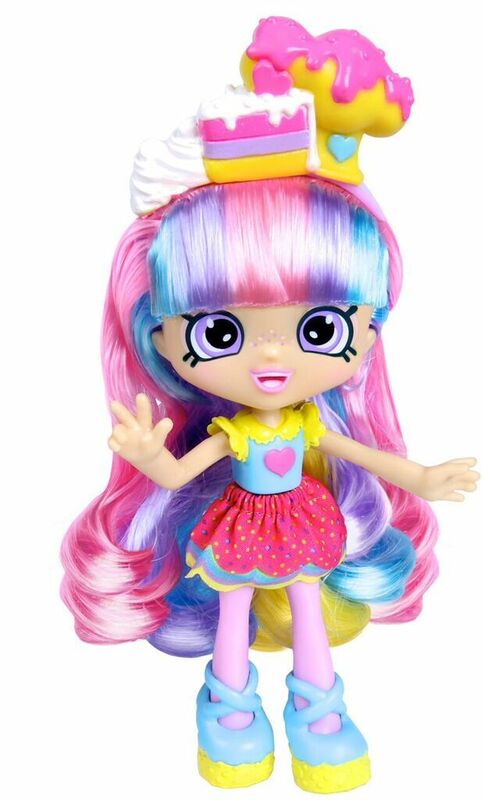 I think Beanie Boo is cuter, but my 6 year old daughter would say that Shopkins are! Love the beanie boo,but pretty certain my girl would love both! I like Beanie Boos but my girls would love Shopkins!!! My daughter loves Beanie Boo best! Beanie Boo is adorable. Those eyes!! !